Elephant is a popular image of an animals. In Thailand they use elephant in many different ways, especially for entertainment. I saw one time in one TV news that elephant plays soccer in one of the zoo inn Thailand. In the Old times they train and tamed elephant to be used in war. 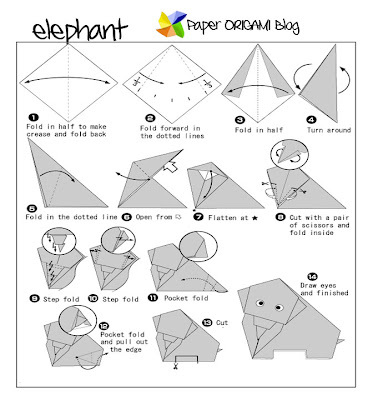 Now let us make Paper Elephant. 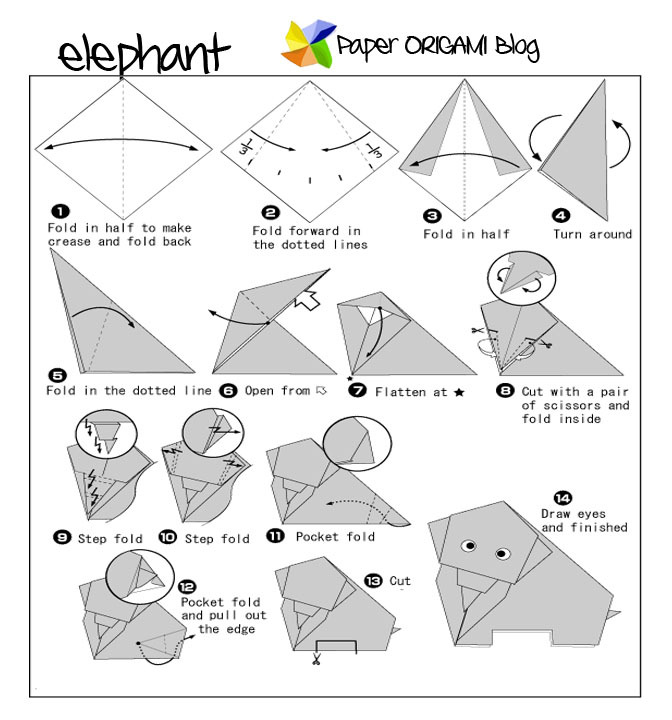 here is the folding Instruction.